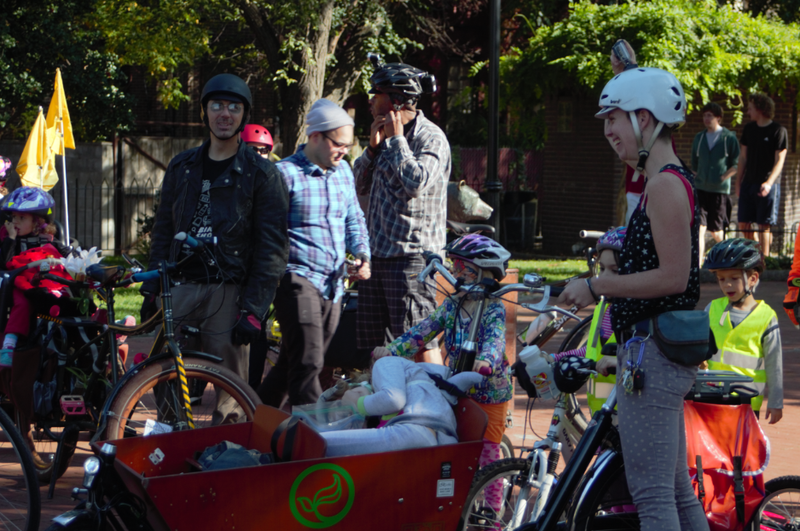 Today dozens of parents and children, individually and with up to 3 in-tow, pedaled up 22nd Street from near Pine all the way to Brown, in Fairmount Park. 22nd Street currently has no lane markings whatsoever between Fairmount Avenue and Spring Garden, and is used for two-lane motorized traffic in a relatively free-for-all fashion. The Philadelphia Streets Department engineers found this recently resurfaced section of roadway should be painted as one lane for motorized vehicles and one bike-lane. Greenlee has told some of his constituents that he believes a bike lane would make the street less safe than the current unstriped free-for-all, but his argument to the Bicycle Coalition makes a different case: that the level of service for cars would be too low, and motorists won’t be able to drive fast enough at rush hour. Riders out on 22nd Street today wished to demonstrate to the Councilman that community-members support and make active use of the bike lane, and that it will benefit people city-wide. 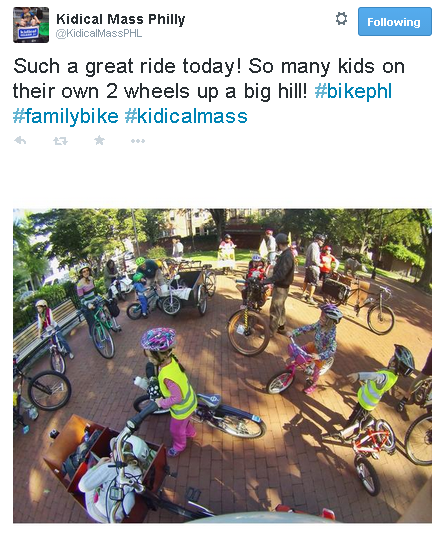 A tweet from Kidical Mass as the riders reach their destination. 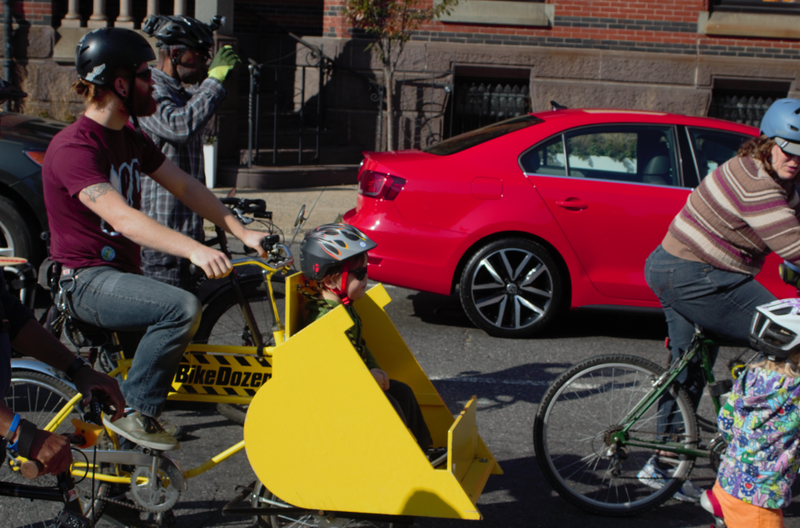 The Bicycle Coalition of Philadelphia, strong supporter of the 22nd Street bike lane, reported in August on “complications hindering” the lane’s implementation. 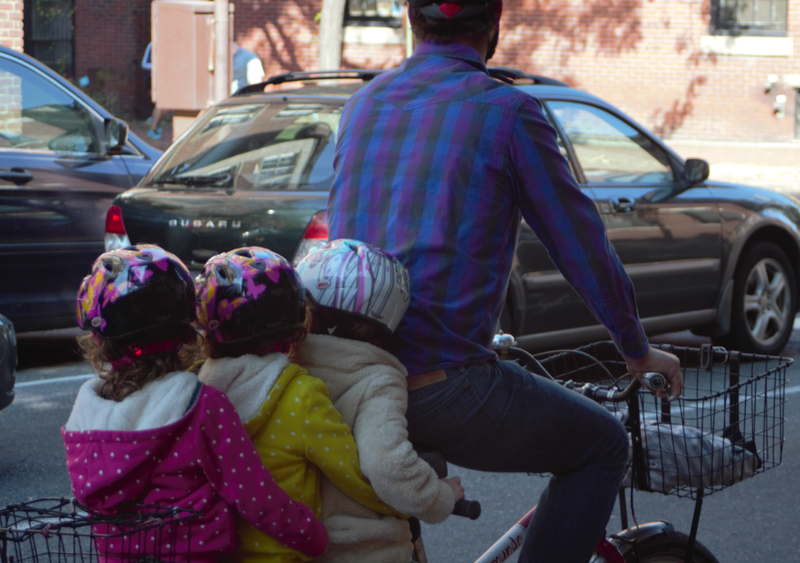 “We know that there is also neighborhood support for the bike lane, as several neighbors have expressed their support to Councilman Greenlee and Council President Darrell Clarke (then informed us that they did so),” writes Nicholas Mirra for the Coalition. Inclined to agree with you there, Nicholas.